As Europe's horsemeat scandal grows, with quantities of the product having recently been found in Ikea meatballs, adventurous foodies are flocking to try the often maligned meat, providing a boost to an industry activists have been fighting against for decades. 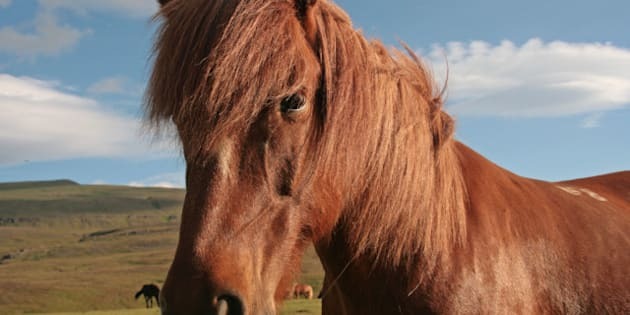 "A lot more people are trying horse meat," said Bill desBarres, chairman of the Horse Welfare Alliance of Canada, an organization that promotes humane horse handling during the animal's life up to and including slaughter. DesBarres, a horse breeder, is a self-proclaimed lover of the animal's meat, which he compares to the taste of moose. DesBarres said activists, the vegan community and the recent media attention on Europe's discovery of beef-labelled products containing horsemeat have raised consumer interest. "People are inquisitive and they say, 'Well, what's wrong with it? Let me try it,'" he said. DesBarres compared the phenomenon to the interest in tasting shark-fin soup last year. In 2012, many Canadian cities attempted to ban the Chinese delicacy for its cruelty to declining shark populations. "So, they seek out the specialty shops in some of the centres and they try it," desBarres said. Some of those people develop a taste for the product, he said, and become regular horsemeat consumers. While horsemeat is frequently associated with Asia and Europe, especially France, the dish isn't new to Canada. In Quebec, where food regulations have allowed for the sale of horsemeat for almost two decades, grocery stores like Metro and IGA stock the product. Metro offers an abundance of recipes online, including kebabs, cheeseburgers and salads utilizing the meaty ingredient. When the first season of Top Chef Canada centred a challenge around French cuisine, the show asked contestants to create a dish using horsemeat. The episode sparked controversy, since horse consumption remains relatively taboo in North America, where horses have never been predominantly raised for food and tend to be seen as companion animals. However, desBarres said more specialty shops selling horsemeat are opening in Canada. Several restaurants in Ontario and Quebec already serve the delicacy. Toronto's La Palette lists two horse tenderloin dishes, and co-owner Shamez Amlani said the restaurant sees an upsurge in horsemeat orders whenever the delicacy receives press — be it negative or positive. After a brief hiatus, La Palette started serving horsemeat again in February 2012, said Amlani, which caused a group of protestors to demonstrate outside his restaurant weekly for about six months. Every time the protestors came, he said, business boomed, as the bar would fill with people who wanted to support the establishment. Some of the patrons had never heard of the restaurant or tried horsemeat before. Amlani said the protestors sold a lot of horsemeat for him because of the attention they brought to the dish. Horsemeat remains one of La Palette's most popular menu items, he said, attracting customers from New York and Pennsylvania. "[Humans] are at the top of the food chain. So [when] you have an opportunity to try something that you haven't tried before, people will do it," he said. "People will come from far and wide to come here and eat horse." The head of Interbev Equins, the nation's horse butchers' trade group, told media that horsemeat sales rose by up to 15 per cent last week in France. Eric Vigoureux attributed it to continuous news coverage making horsemeat a hot topic. It's an explanation echoed by academics. Dylan Gordon, a PhD candidate studying Canadian food culture at the University of Toronto, said eating horsemeat now, while it's in the news and somewhat taboo for the majority of North Americans, gives people something interesting to talk about. He said cosmopolitan foodies are most likely to want to try the dish. "It's also about sort of creating distinction as a foodie," he said. "If you've eaten something that other people haven't eaten, this has become a kind of way to improve your status." Gwen Chapman, a professor of food, nutrition and health at the University of British Columbia, said cosmopolitan foodies — who are fairly well off and already have a food orientation that seeks adventure — are more likely to want to try horsemeat as media coverage increases. She said the surrounding stigma makes it more exciting for people to try the controversial meat and then talk to their friends about it. "[Horsemeat] certainly has an edge to it," she said. "It's got a dark side." Chapman said she speculates the touchiness around horsemeat comes from the animals not being raised for food in North America, so people may see it as a food of desperation rather than a tasty, tender meat. Horse lovers may also equate it with eating a pet, she said. While people may be more likely to try horsemeat now, Chapman said she doesn't foresee the dish making its way into the average Canadian family's repertoire. "I can't imagine it becoming sort of a weekly, at-home kind of thing," she said. "I would never see it becoming core to someone's cuisine in Canada." Sinikka Crosland, the Canadian Horse Defence Coalition's executive director, said she believes it's only a small percentage of people who are being driven by their curiosity to try horsemeat. She calls horsemeat "a high-risk product to be eating" and warns those who are curious to "eat at your own risk." The coalition is seeking a ban in Canada on slaughtering horses for human consumption and on exporting live horses abroad for the same purpose. Currently, Canada has four federally licensed slaughterhouses for horses. In 2011, more than 89,000 horses were killed in the factories, according to the department of Agriculture and Agri-Food Canada. It's impossible to kill horses humanely in these places, said Crosland, as horses are very intelligent, very mobile flight animals. Animal rights aside, Crosland said the organization wants the bans because horses are not bred for humans to eat and can have traces of chemicals dangerous to people, such as phenylbutazone, more commonly known as bute. The Canadian Food Inspection Agency, which is responsible for the safety of Canada's food supply, has banned bute in horses being slaughtered for consumption. However, most horses that end up on the assembly line are not raised for food, said Crosland, and at some point in their life could have been administered bute, a common pain reliever and anti-inflammatory drug given to horses. CFIA conducts random tests for drug residues. A letter to Crosland from CFIA's chief veterinary officer, Dr. Ian Alexander, says that between 2012 and 2013, 385 horses were scheduled for sampling, which is less than half a per cent of the estimated number of horses killed annually in Canada. The testing showed a high compliance rate, according to CFIA's website, and the number of horses tested would be higher if results were problematic. But Crosland said that CFIA's testing is not good enough and people should avoid eating horsemeat. "Anyone with a family caring about their children is going to say, 'Hey, you know, this is not something that I want to expose my kids to." Jean-Jacques Texier, the owner and chef of Toronto's Batifole restaurant, has been serving horsemeat-based tartare since opening in 2004. Texier said he would tell anyone worried about eating horse for health reasons to also stop eating chicken, farmed fish, veal and dairy — just to name a few. He agrees the industry needs regulation, "so we know who is the horse, where it comes from, what it's been doing from the minute it's been born until the minute it enters the slaughterhouse." "But to do that, we need to have a market," said Texier. Banning horsemeat, he said, will just create an underground, unregulated market, which will be more dangerous for consumers. La Palette stopped serving horsemeat for a short period in 2011 following a Toronto Star expose on Canada's horsemeat industry and the prevalence of animal cruelty and presence of bute. Amlani said he spent several months studying the issue and only reintroduced the horsemeat dishes when he felt it was safe to serve for human consumption. Even so, he recognizes it's not for everyone. "Some people are just taken aback by it on the menu, and others are thrilled by it."